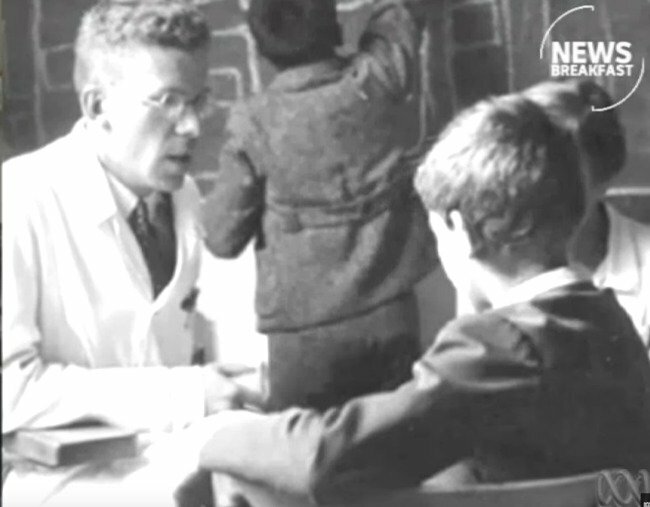 Hans Asperger's dark history lead to calls to stop using term "Asperger's"
The dark history of Hans Asperger emerges, the doctor the disorder was named after. The term “Asperger’s” has become a part of our language. But with the evidence of Hans Asperger’s links to Nazi child-killing, should we all just stop using the terms? Asperger was an Austrian paediatrician who worked in Vienna during WWII. For many years he was seen as a hero. The legend was that he had talked up the special skills of his young patients with autism, and by doing so, saved them from being killed by the Nazis. “Autistic people have their place in the organism of the social community,” Asperger wrote in 1944. But recent research by medical historian Herwig Czech has crushed the idea of Asperger as a hero. Czech uncovered documents that proved that Asperger wrote damning descriptions of more than 40 of his young patients that resulted in them being sent to the Spiegelgrund clinic where almost 800 children died. Many were deliberately murdered, fed barbiturates mixed with sugar or cocoa. Now there’s a new book out, Asperger’s Children. It’s by Edith Sheffer, a historian who has a son with autism. 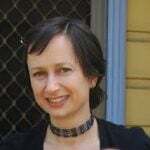 She’s spent years investigating Asperger, and her conclusions are damning. The paediatrician was never a member of the Nazi party, but Sheffer says he applied to consult for Hitler Youth. He endorsed the Nazi policy of forced sterilisation for people who were “a burden on the community”. As for the children he sent to Spiegelgrund, Sheffer says he would have known he was sentencing them to death. “One of his patients, 5-year-old Elisabeth Schreiber, could speak only one word, ‘mama’,” Sheffer recently wrote in the New York Times. Sheffer is calling on people to stop using the terms “Asperger’s” and “Aspie”, even in casual conversation. Barb Cook, who is the editor-in-chief of Spectrum Women Magazine, remembers how she felt when she first heard about what Hans Asperger had done. “Of course I was mortified,” she tells Mamamia. “It disgusted me that such a man with great knowledge and opportunity to save children, as he did with some, was also used to sign a death warrant to others. Cook was diagnosed with Asperger’s syndrome in 2009. As Cook points out, the term “Asperger’s syndrome” was removed from the DSM – the manual used by American psychiatrists – in 2013. She says for a short time after that, she felt a “loss of identity”. But she says many people in the autism community saw “Asperger’s syndrome” as a dividing term, “with the wider community viewing Asperger’s as identifying with having a less need for support and accommodations, which is in fact is quite untrue”. Before too long, people in the community were changing the way they referred to themselves. Cook says a large majority of adults on the autism spectrum now identify as ‘an autistic person’, not ‘a person with autism’. As for Hans Asperger, Cook says the thoughts of what he did will stay with her, and she’ll remember it whenever she hears the term “Asperger’s”.